Oven Cleaners Home & Commercial Kitchen Hadfield SK13 | YGM Cleaning Company Ltd. If your oven, fridge, dishwasher or any kind of other kitchen appliance needs some cleaning, there is a very quick and easy way to guarantee that it is cleaned to perfection and at a great oven cleaning price. Just get in touch with YGM Cleaning Company Ltd. It is a professional oven cleaning company located in Hadfield SK13 and serving the residents, business owners and restaurants in the region for over TEN years now. The commercial and residential oven cleaning company offers professional deep scrub of ovens, household fridges, freezers, microwaves, dishwashers and other home appliances upon request. You can call to find out how much a deep oven cleaning in Hadfield will cost you right away and absolutely free. Just call 0161 823 0323 or use the online form to ask for a free price quote for the cleaning service you want , and you will get your offer in up to 2 hours. Since range ovens are so popular, the professional oven cleaners in Hadfield have become experts in deep cleaning brands such as: Smeg, Stanley, Alpha Range, Aga Range, Rangemaster, Rayburn. 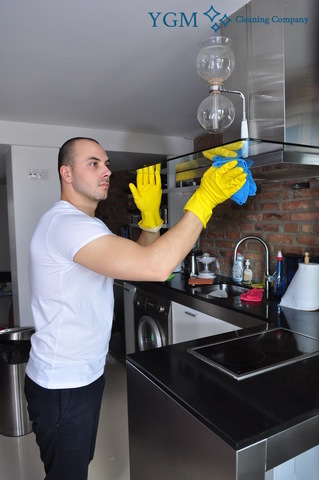 The experienced cleaners working in the oven cleaning company provides a full one-off deep cleaning of the kitchen, along with a deep cleaning of all appliances, along with all cupboards, surfaces, doors, floor, sink, windows, taps and others. The other cleaning services which can be accessible upon request are: single or double oven cleaning, stove deep cleaning, microwave clean, Gas grills clean, bbq racks clean, hotplates cleaning, ceramic hobs cleaning, gas hobs cleaning, gas cooktops, ceramic cooktops, electric hob, ceramic hob, free-standing ovens, stoves, halogen hob, electric cookers cleaning Rayburn, cookers, Aga cooker, Range Cookers, Stanley Range Cookers, cookware, extractors, oven racks, warming drawers, fridge cleaning, freezers. Upon request: tiles and grout, splashback cleaning, all kitchen appliances, canopy cleaning, ductwork cleaning. Alongside the good quality deep scrub of ovens, the prepared cleaners will offer one off deep kitchen cleaning that can be domestic or professional, grout and tile cleaning, microwave, washing machine, dishwashing machine,, canopy, ductwork, structural and other appliance deep cleaning. So, if you are trying to find an affordable, safe and very effective deep oven or deep kitchen cleaning, book your cleaning service right now! The prepared oven cleaners will take apart the oven and remove all removable elements, such as: oven doors, control knobs, trays, Pans, Racks, panels, Fans, light protector, extractor filters. The parts would be dipped and soaked in professional, risk-free and disinfecting options and hot water, and after that will likely be scrubbed and cleaned with the appropriate wired brushes, sponges and other cleaning instruments and products essential to provide all parts the appropriate cleaning from the dirt, residual grease, harmful burnt carbon and grime. The inside of the oven is provided with a comprehensive deep scrubbing with the suitable disinfecting and degreasing methods too. After they are simply all carefully cleaned out and rinsed, the parts are dried and then set up very carefully together again. Following the deep cleaning, the oven or other kitchen appliance is surely examined. Every cleaning service is insured and come with a guarantee, so you needn’t worry about the safety of the oven and also other kitchen appliances. Only contact 0161 823 0323 or utilize the online booking form to book the necessary oven cleaning in Hadfield or additional professional cleaning service proposed by YGM Cleaning Company Ltd. You will receive a written confirmation ASAP. The daily customer care service may process the booking request quickly and efficiently. In case you book your oven cleaning service well beforehand, you will get a much better price, nevertheless, same day oven cleaning services are also obtainable, for those who require emergency cleaning. Book more than 1 cleaning service and you will get a big discount! Book your professional deep oven cleaning service with professional oven clenaers right now! Other services we offer in Hadfield SK13 Carpet Cleaning Hadfield, Gardening Services Hadfield, Upholstery Cleaning Hadfield.